Tonight is movie and game night for my friends and me. Since my sister is accusing me of being lame on my phone and not socializing, this is going to be short and sweet. In honor of our movie night tonight, I decided to use an idea I got from another WordPress blogger. It was a great idea that I couldn’t help but use as well. You should check out the post! 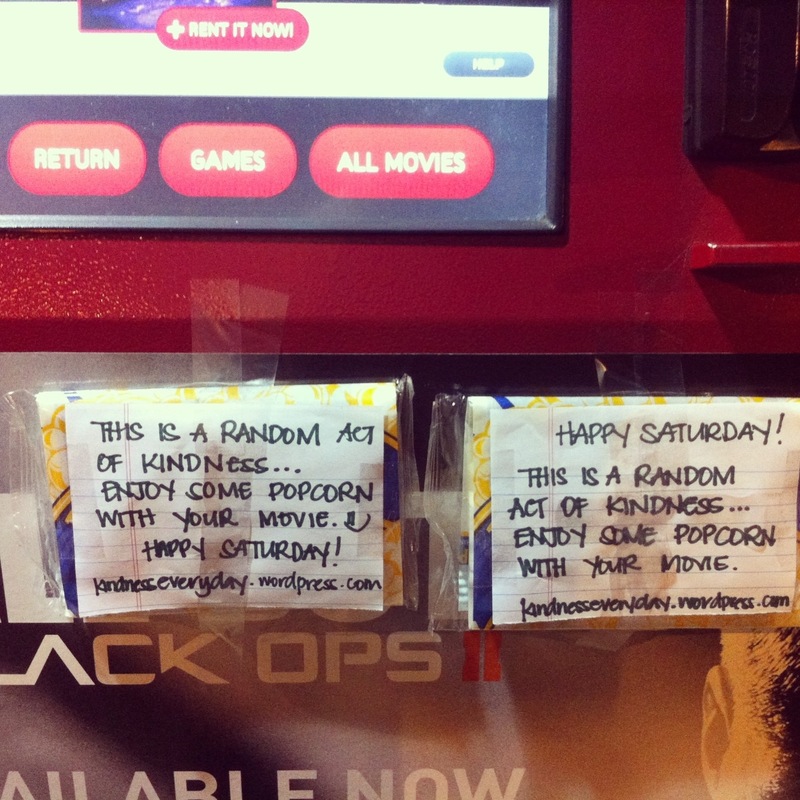 So, in the same fashion as Happy On My Farm, I left a couple packs of popcorn at the Redbox for others that are also planning a movie night tonight. And now, back to our movie and game of “Things!” Happy Saturday night all! This entry was posted in Daily Kindness. Bookmark the permalink.